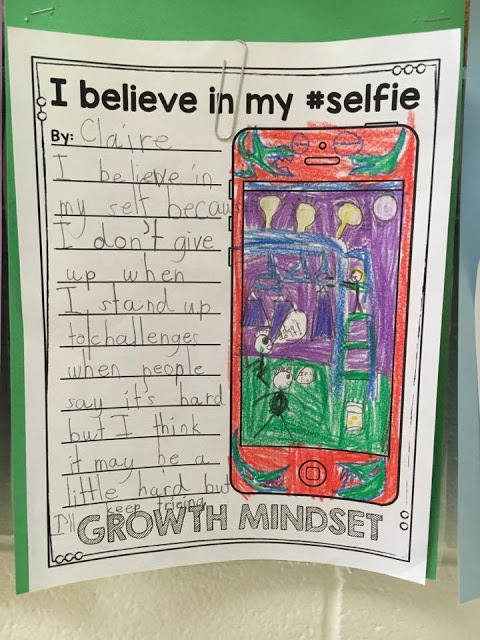 In recent years there has been a lot of enthusiasm and buzz around the topic of “growth mindset”. The research of Carol Dweck has become more well-known and many educators have learned about the power of mindset. 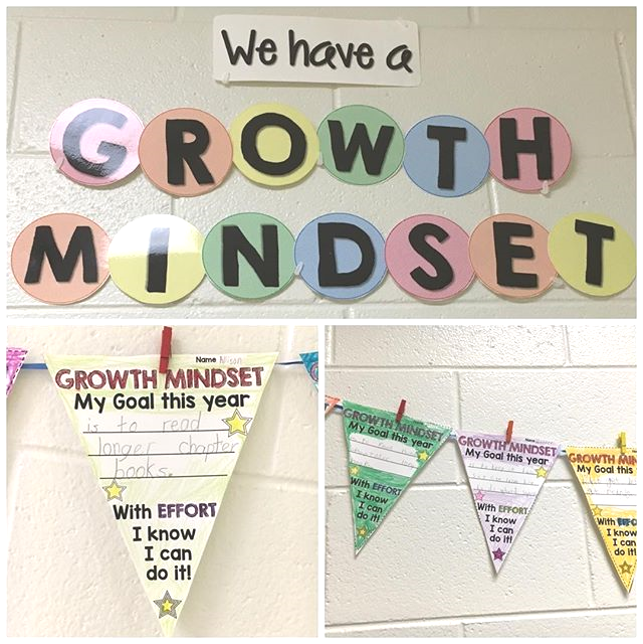 But research is also showing us that while teachers are quite familiar with growth mindset, they want more skills and resources to incorporate it into their classroom. In a nationwide poll of K-12 teachers conducted by the Education Week Research Center, 77 percent said they were familiar or very familiar with growth mindset, but 85 percent said they wanted more professional development in the area! 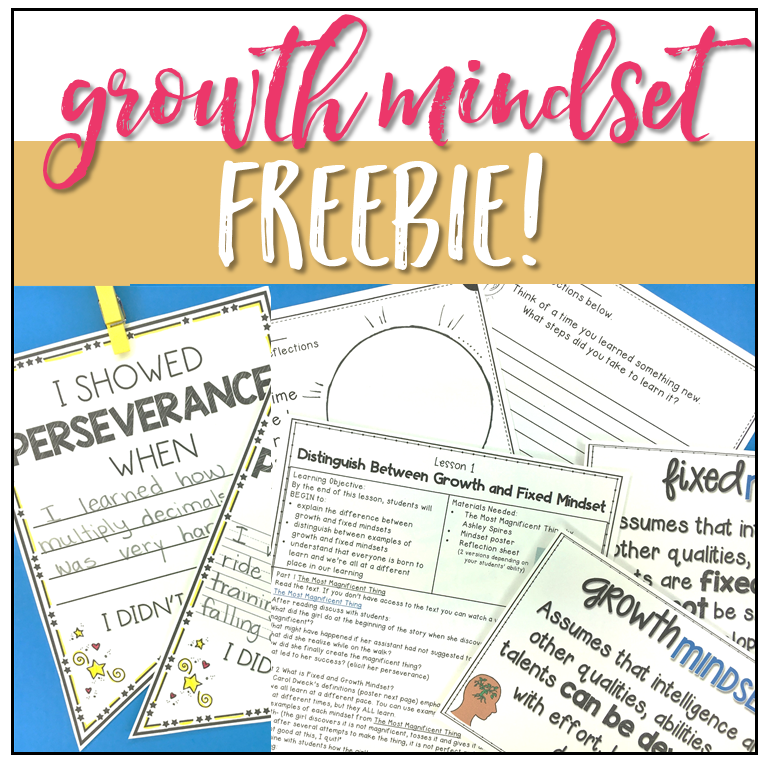 Today I want to share some information on growth mindset that may deepen your understanding and provide you with actual resources that you can take back to your classroom and use with your students! 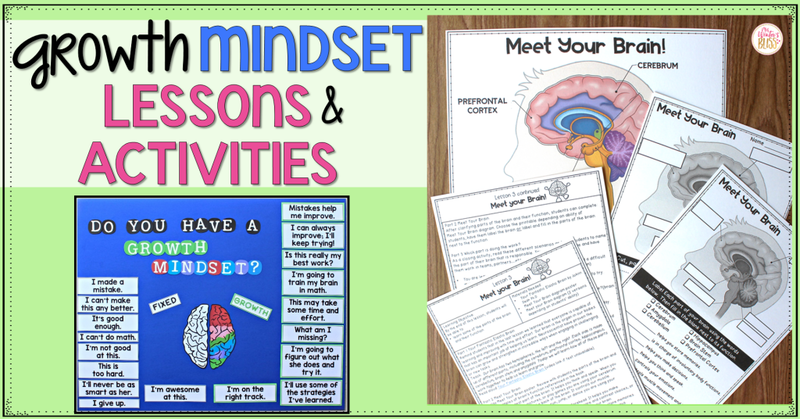 So let’s start with a little info on mindsets…. 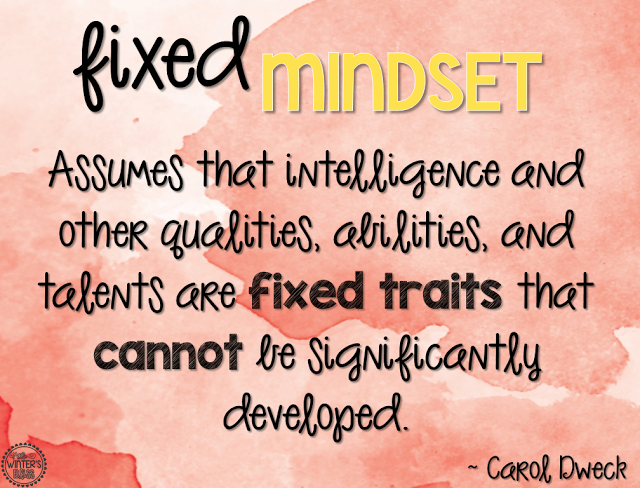 Through years of research Carol Dweck has identified two types of mindsets which she calls; growth and fixed. 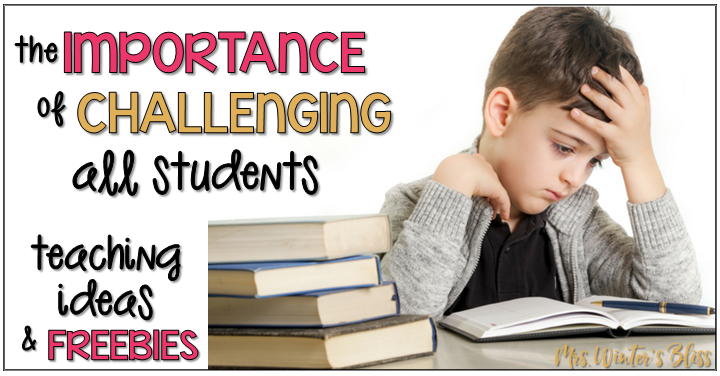 When students believe that dedication and hard work can change their performance in school, they grow to become resilient, successful students. 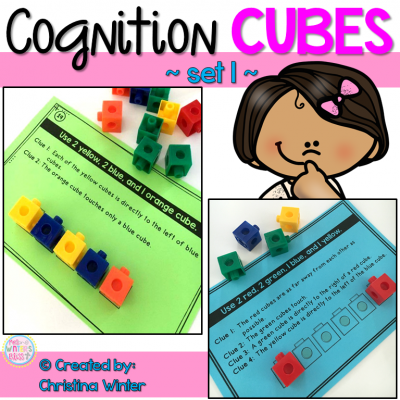 Even at a young age, it is essential for us to teach our students that their intelligence can grow or develop with persistence, effort, and a focus on learning. 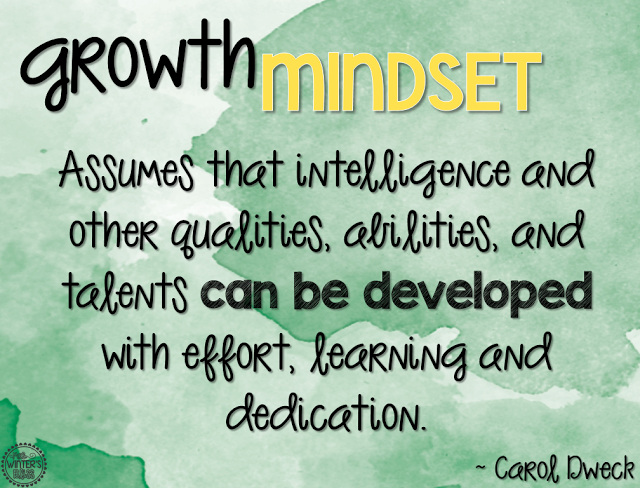 If you are just hearing about Growth Mindset or beginning your journey to learn more, I would encourage you to take a few minutes to listen to Dweck sharing her research. 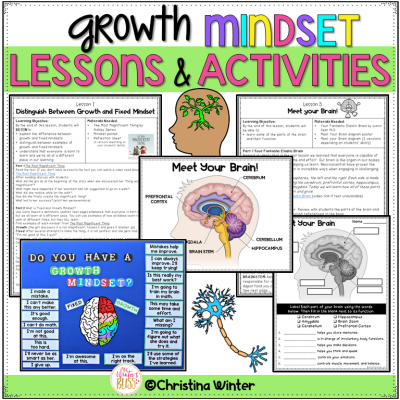 Now that we have a bit of background info, I’m excited to share with you some great resources I have created and ideas I have found to help instill a growth mindset in my students. I have compiled a list of book and video resources that are perfect to share with my students. 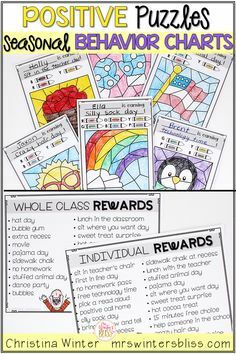 You’ll want to keep this list at your fingertips! 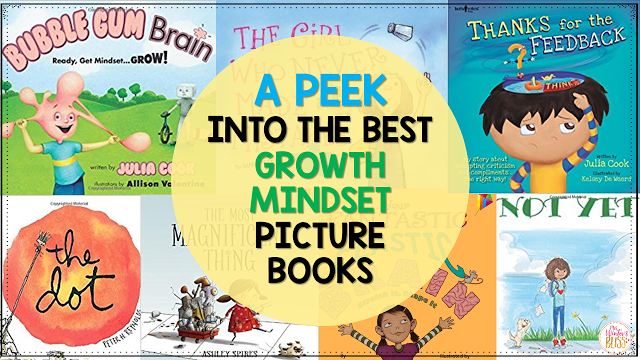 To take a PEEK inside these read alouds and see what growth mindset lessons they match up with head to this blog post THE BEST GROWTH MINDSET PICTURE BOOKS. 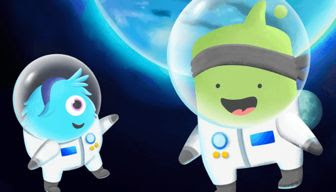 My favorite videos for my first graders are these ClassDojo 5 (short episodes). 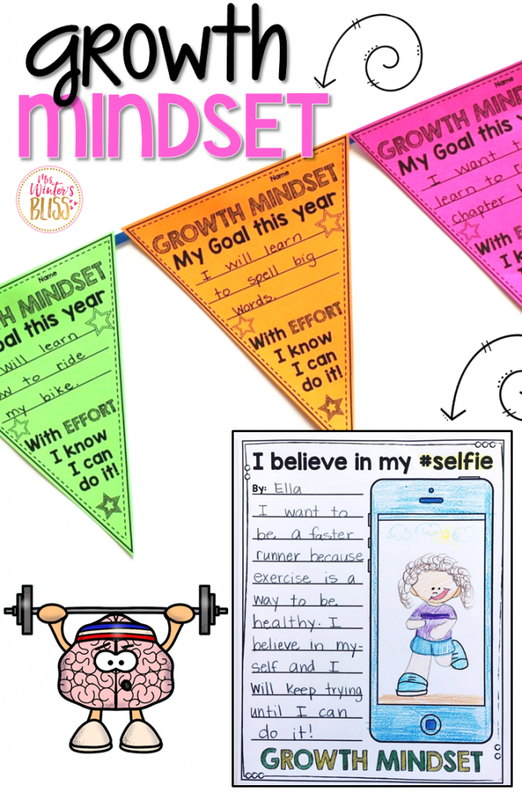 In this series on Growth Mindset, two monsters named Mojo and Katie explore the different aspects of growth mindset, perfect for K-2 students. You can link to the 5 episodes and discussion guides from here. 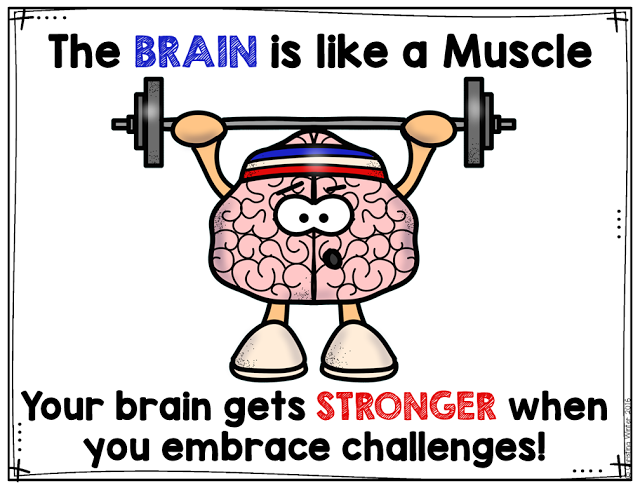 Another good video Brain Jump with Ned the Neuron: Challenges Grow Your Brain is a short video that introduces kids to the powerful idea that taking on challenges can grow and strengthen our brains, and that we have the power to make our brains stronger every day. 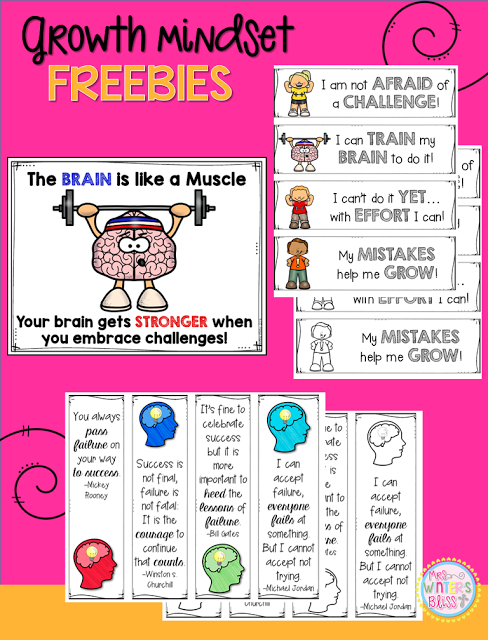 My class needed a visual reminder to “grow our brain” so I made this poster, you can grab this FREEBIE at the end of the post! 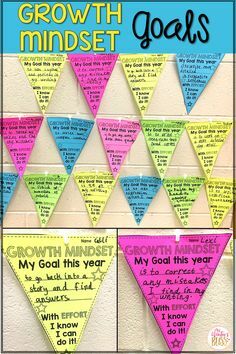 Once my kids had a basic understanding what growth mindset is we set goals for ourselves and hung them in the hallway. 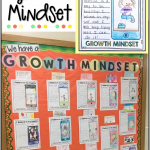 To support my students as they work to develop their growth mindset I created bookmarks with reminders that their intelligence is unlimited. 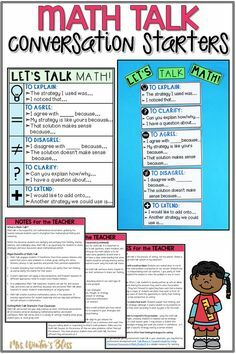 I keep them in our classroom but also send them home with my students. 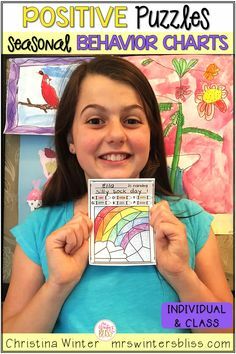 Be sure to grab these color and black and white bookmarks for your kids at the end of this post! 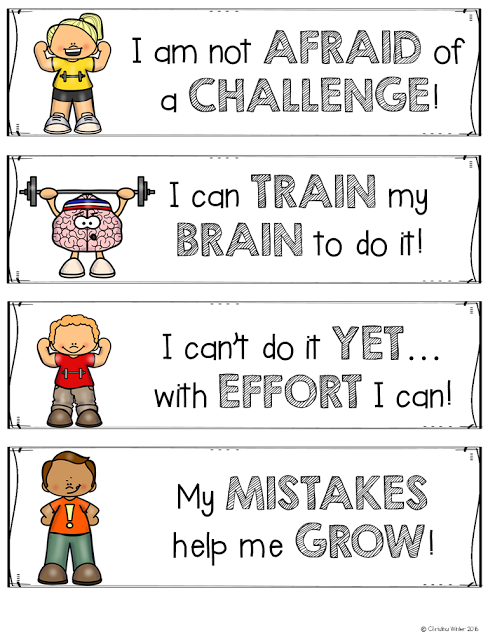 Truly developing a growth mindset takes time. 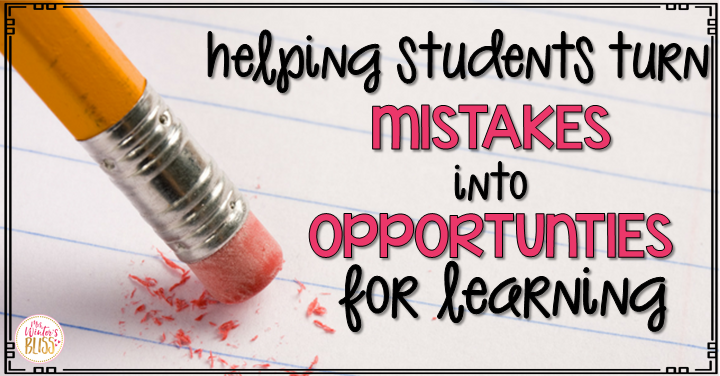 One or two lessons at the start of the year simply isn’t enough. It is something that must be reinforced all year long. 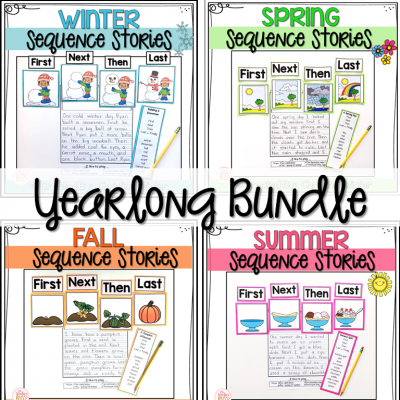 Here are a few more resources I created that you may be interested in using with your students throughout the school year. 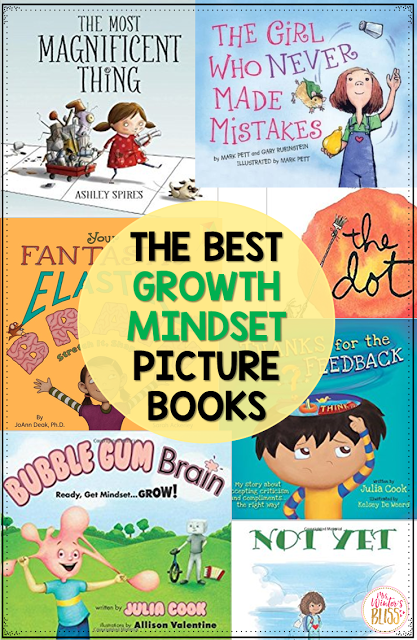 If you are interested in seeing more of my Growth Mindset Resources including book and video links you can check them out by clicking the picture below. 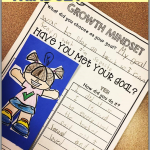 If you ready to start fostering a growth mindset culture with your elementary students and unsure where to start? 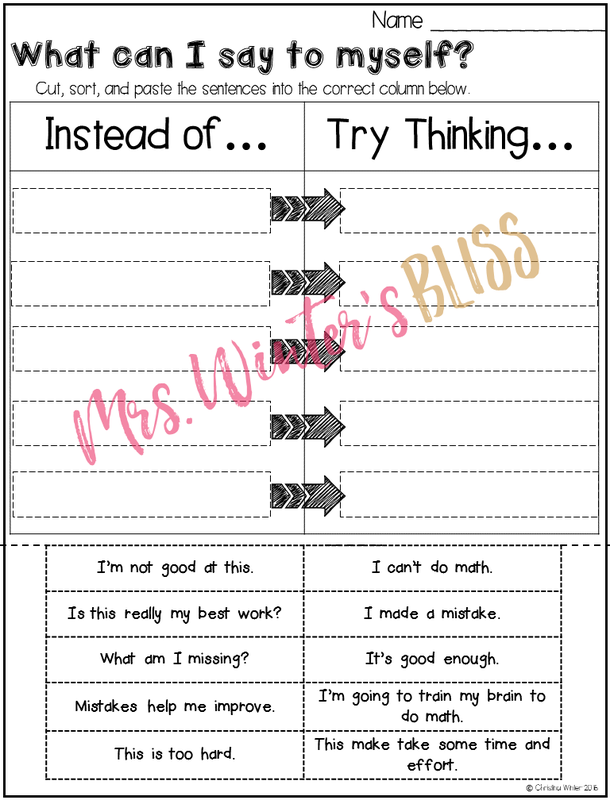 Check out this Growth Mindset blog post for more lessons, ideas, and activities. 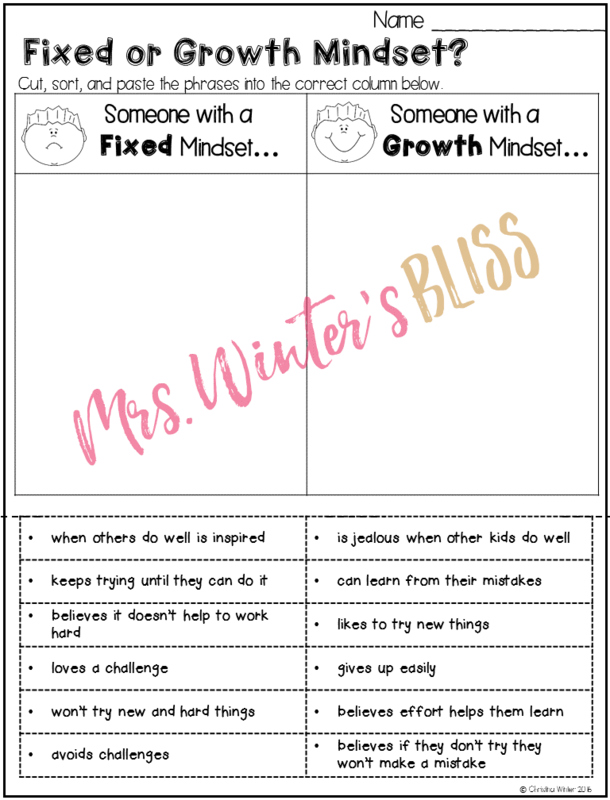 Taking time to teach your students about growth mindsets and supporting them as develop it is such a valuable use of instructional time. 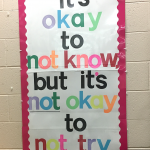 Helping your students to achieve their potential and motivating them to understand effective effort, persistence, and working hard to reach their goals should be a central aim of our teaching. 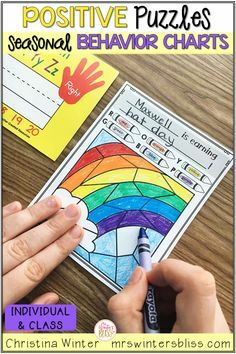 When students believe they can get smarter, they will put in extra time and effort into their learning which will lead to higher achievement. 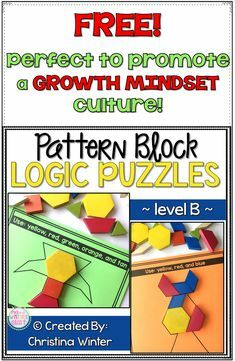 I hope the resources I have shared offer a way to for you to begin to foster a Growth Mindset culture in your classroom. 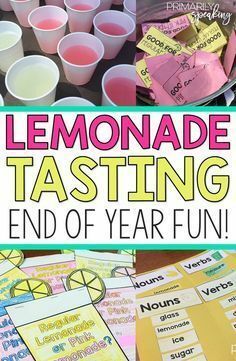 It’s a wonderful gift you have the power to give to your students. 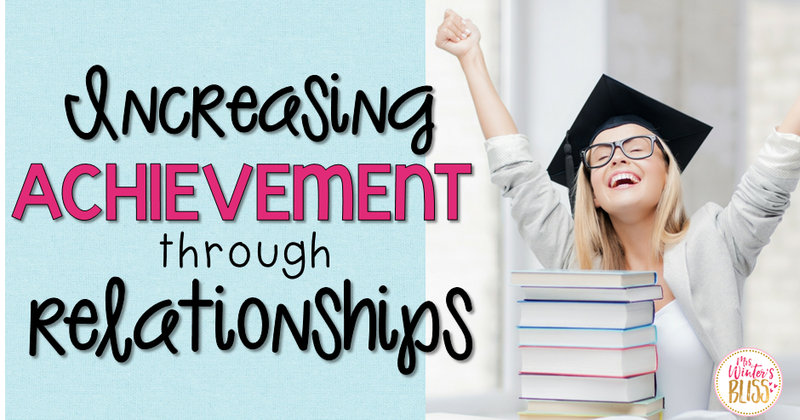 I’d love to hear in the comments any other resources you have found to help your students be successful in achieving their goals! 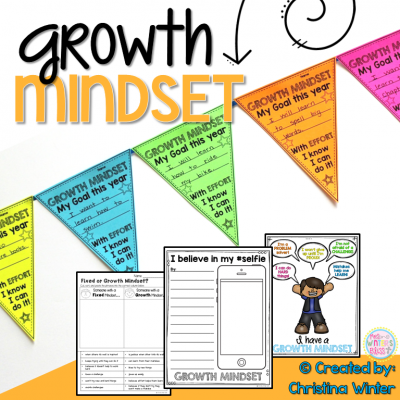 Want to learn more about teaching growth mindset? 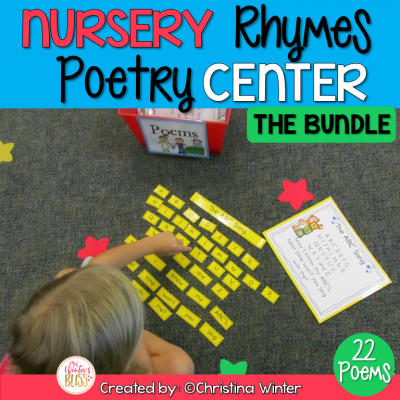 Thank you for your amazing resources!!! You have definitely given me much to think about with the teachers I train. 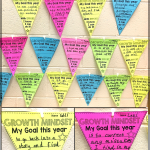 Growth Mindset should take a much more central focus and your resources will help me lead the way. Thank You. Hi, I would really love to access this but for some reason the download page isn't loading properly and I can't. Is there any other way to access it as it looks fantastic!? 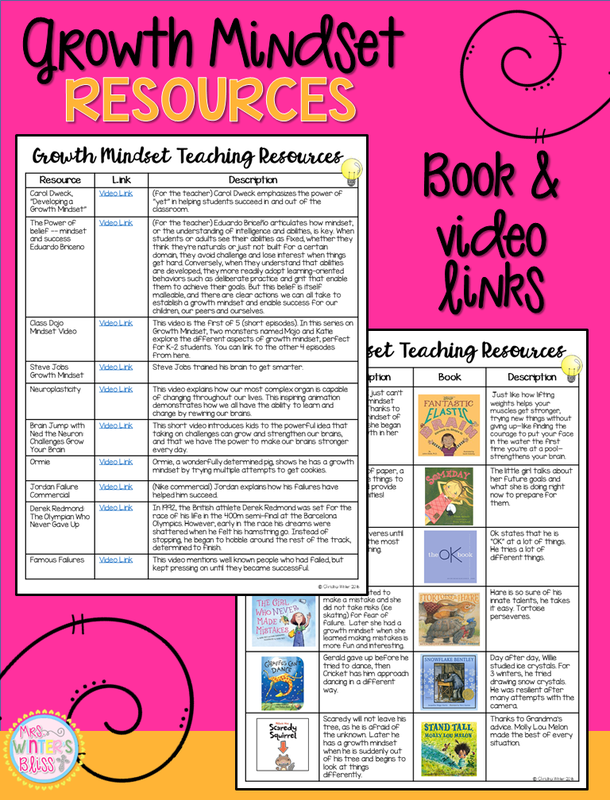 Do you have the Teaching Resources document with the list of books and descriptions available for download? 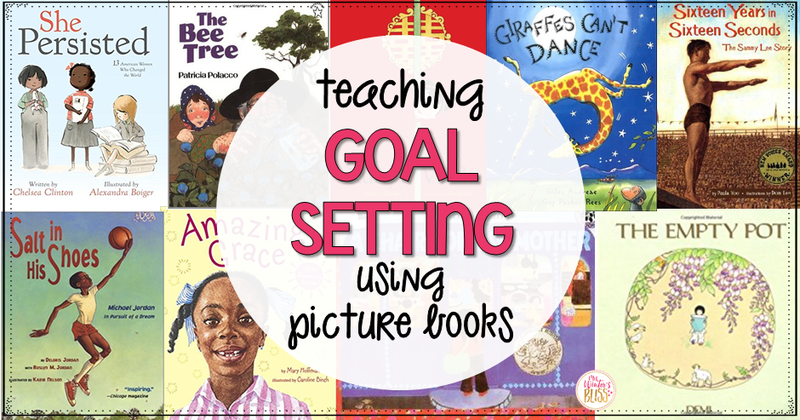 I'd love to use some of these books with my first graders. Thanks! 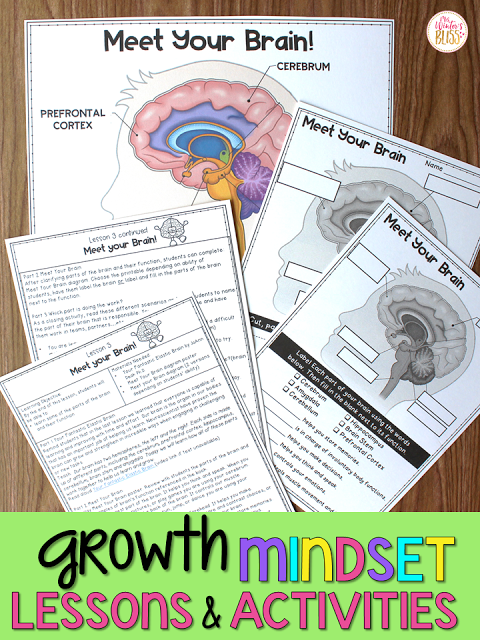 Hi Christy, the book and video links are included in the Growth Mindset resource in my TpT store! Thank you! 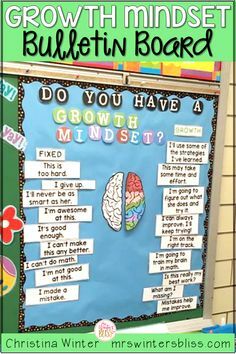 I'm determined to be much more deliberate about encouraging growth mindset this year. 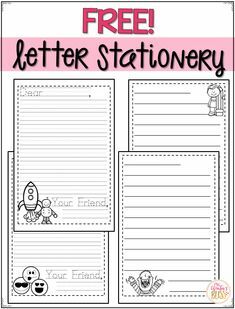 Your post and the generous freebies will be so helpful. Have a wonderful year! 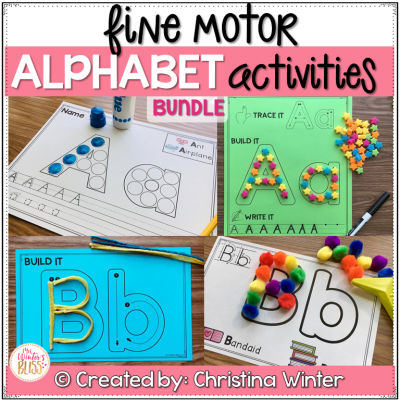 What age group do you use most of your activities with? I am also wondering what age group these may be good for! FREE! 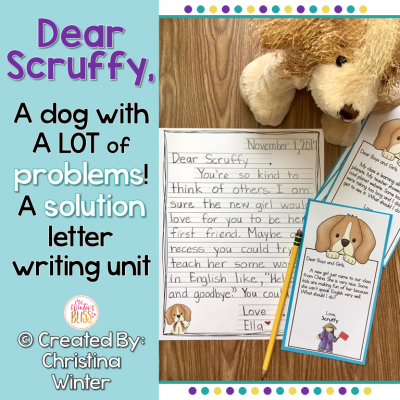 Teach your 1st 2nd or 3rd grade students how to write their own short reader's theater play scripts! 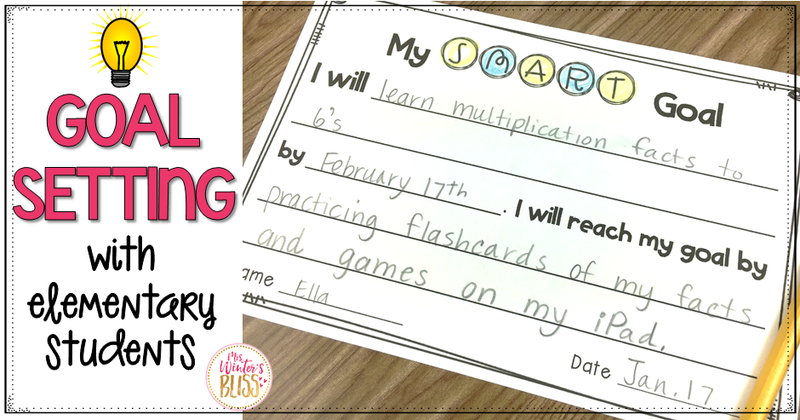 All templates included to ensure that your class play will be fun and successful!